Stories of health care sticker shock are everywhere. Will they change anything? As prices increasingly become the focal point of the health care cost conundrum, journalists are playing a key role in highlighting inconsistent — and often ludicrous — price tags. 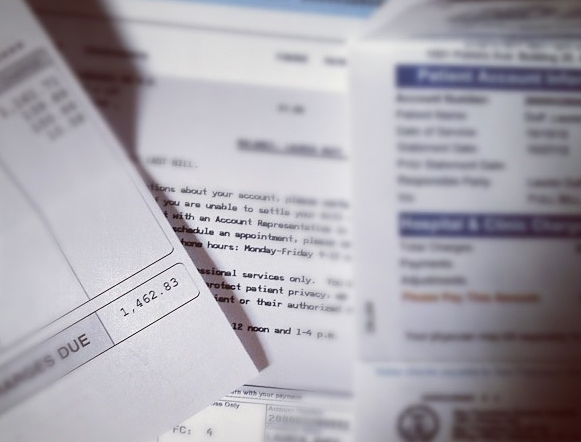 From Elisabeth Rosenthal’s groundbreaking New York Times series “Paying Till It Hurts,” to Sarah Kliff’s eye-opening project on outrageous ER bills, journalists are increasingly pulling back the curtain on the opaque world of health care pricing. The reporting is taking place across the country, from national outlets such as ProPublica, Kaiser Health News and NPR to The Philadelphia Inquirer and The Times-Picayune in New Orleans. While writing about health care costs isn’t a new topic for journalists, Allen says the current climate is especially conducive to price reporting. He points to the Urban Institute’s finding that about one in five American adults have past-due medical bills. That’s in part driven by the fact that health care costs are rising at higher rate than inflation, he said. And, over the last five years, employers and health insurance companies have shifted more of the financial burden onto patients, which means the insured are experencing higher out-of-pocket costs. The increase in reporting on health care costs is a response to patients increasingly “getting squeezed,” Allen said. That squeeze is happening in several ways, said Jeanne Pinder, a former New York Times journalist who founded ClearHealthCosts. The site, recently a finalist for a Peabody, is partnering with media outlets across the country to gather patient bills and reveal medical costs in local markets. The rise of high deductible plans is partly to blame. Pinder also pointed to an increasing number of out-of-network providers, which can lead to surprise bills, and the growth of coinsurance, in which patients pay for a percentage of their health costs even after their deductible is met. And then there are “health care’s new skinny plans,” which typically have lower premiums but very limited benefits. Even employer-sponsored plans increasingly have narrow networks and higher deductibles, Pinder said. Will sunlight lead to lower prices? While the idea of covering the intricacies of health prices and cryptic hospital bills may seem overwhelming, Pinder said such reporting efforts are having an impact. Documenting prices — and their huge variation — is the first step in changing consumer behavior, giving patients the information they need to make cost-effective health care decisions. While some researchers say price transparency alone is “not likely the panacea” for controlling high health care costs (getting people to price shop can be hard), Pinder said the information gives individual consumers more power to protect themselves. Price reporting efforts can also encourage providers to be more transparent with their costs. Take New Orleans, where some hospitals initially refused to share their pricing when reporters called. After the partnership launched with NOLA.com, The Times-Picayune and WVUE Fox 8 Live, journalists followed up again, explaining they were doing an article looking at hospital policies on releasing prices. And, they pointed to other providers that had released the data. After that, several decided to release pricing. Similarly, Vox’s Sarah Kliff has said her reporting on emergency department facility fees is bringing more transparency the health system. “We wanted to show people this part of the health care system they rarely see and bring more attention to something a lot of Americans are seeing on their bills,” she said in a Center for Health Journalism webinar on reporting on health prices. ProPublica’s Allen said he hopes his reporting on how the insurance system works will spur both patients and employers to push back against growing health care costs. Allen encouraged journalists to think outside the box when it comes to reporting on costs. Don’t be limited or intimidated by what other reporters have already done. Instead, talk to people in the community such as business leader and human resources departments for big employers. Look for models that might be working and innovative solutions to high costs. It’s also useful to have a HIPAA authorization form ready, which can help reporters make calls on behalf of an individual. But even without that, reporters can still interview health care providers about their broader policies. For example, a reader stung by a high emergency department bill could lead to a story on how self-pay visits can sometimes cost less than visits covered by insurance. Gantz has heard from dozens of readers who say they’re now comfortable asking their providers about costs — or even challenging a bill.